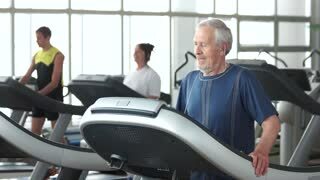 Portrait of happy male senior running on treadmill. 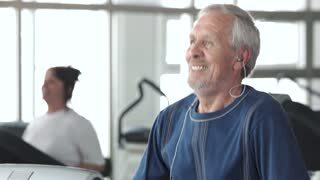 Smiling elderly man doing cardio exercise at gym. Fitness for seniors. Cheerful woman doing cardio exercise at gym. 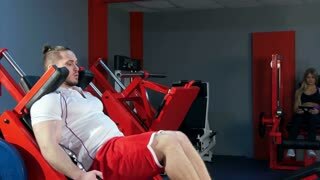 Pretty young woman running on treadmill at fitness center. People and sport.